Thomas Culpepper and Martha A. Blackmon on 18 Aug 1867 in Harris Co., GA, Book B-368. 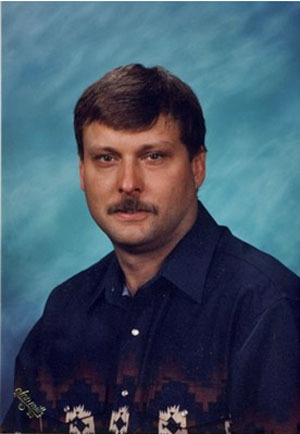 Obituary* 13 Dec 2009� David Culpepper, 45, of Moody, went home to be with the Lord Saturday morning, Dec. 12, 2009. A home-going celebration will be 10 a.m. Tuesday, Dec. 15, 2009, at First Baptist Church of Moody with Dr. Tom Shelton and the Rev. William Sterling officiating. Interment will follow in Moody Cemetery under the direction of Cole Funeral Home, 1113 West Fifth Street, McGregor. Visitation will be 6 to 8 p.m. Monday at Cole Funeral Home. David was born Jan. 31, 1964, in Fort Worth, and later moved to Waco. In 1976, he moved to Moody and he was a 1982 graduate of Moody High School where he played Trombone in the band and was in FFA programs. In 1986, he earned a Bachelor of Science degree in Agricultural Mechanical Engineering. David enjoyed walking daily with the Lord. He was a member of Moody-Leon Methodist Church where he served on several boards. On July 1, 1995, he married Renee Lynn Weeks at First Baptist Church of Moody. David was a dedicated member of the Moody Volunteer Fire Department for many years and he served as treasurer and Fire Marshall. He was also a member of the Moody Emergency Management Team where he was a member of the Volunteer Ambulance Association for many years. David was dedicated to his community and took an active part in it by serving on the June Fest Committee, Moody Ag Booster Club as treasurer, and numerous other committees. He also served on the McLennan County Junior Livestock Committee. For 10 years he owned and operated D.C. Agri and Auto and D&R Car Wash. For the last 10 years, the City of Moody employed him as Director of Public Works. Survivors include his wife, Renee Lynn Culpepper of Moody; his parents, Billy Graham and Mary Jean (Beerwinkle) Culpepper of Moody; a son, Joshua Daniel Culpepper of Moody; a daughter, Amanda Rachelle Davis and husband, A.J., of Elm Mott; a sister, Lynne DeLord and husband, Paul, of Moody; a granddaughter, Kayden Davis; nephews, Josh and Caleb DeLord of Moody; a brother-in-law, Brian C. Pinson of Moody; and a sister-in-law, Rita Marie Weeks of Moody. Obituary of David Wayne Culpepper (#41824), published 13 Dec 2009. David W Culpepper, 31, married Renee L Weeks, 24, on 1 Jul 1995 in McLennan Co., TX. Paul Allan Delord was born __ 1967 in Coryell Co., TX, son of Johnny Darrell Delord and Ann Nell Hampton. Page 187, Hamilton Post Office, living near Joel, James, and Mariner Culpepper (white Culpepper famlies). FHL Film 1254151, National Archives Film T9-0151, Goodmans, Page 437C. ED 31, sheet 24, line 36, District 703. Hilliard Culpepper and Georgia Ann Robinson on 9 Jun 1883 in Harris Co., GA, Book D-303. ED 31, sheet 23, line 34, District 703, also in this household, Bennie Brandford, nephew, born Dec 1884. Hilliard Culpepper, d. 23 Mar 1934 in Harris Co., GA, 7128. Page 192, Hamilton Post Office. FHL Film 1254151, National Archives Film T9-0151, Ellerslie, Page 531A, farm laborer in the household of Abner and Cintha Coarts. Jacob Culpepper and Rudy Lively on 10 Jan 1882 in Harris Co., GA, Book D-252. Gus Culpepper, Male, Black, Widowed, born 22 Feb 1900 in GA, died 9 May 1983 in High Point, Guilford Co., NC, SSN: 242-07-0114. ED 29, sheet 10, line 96, Ellersly, District 695. Pauline Culpepper (Black) and John Wesley Sampson on Apr 1920 in Brooks Co., GA, Book G-350. Page 272, family 139, Clinton Post Office, living adjacent to Stephen Culpepper, age 59 (white). Page 344, family 550, Greenville Post Office. George Culpepper, Son, M, S, B, 8M, --- , GA/GA/GA. ED 25, sheet 14, line 66, Grantville. 137th District, p.184, family 106. Factory District, p. 255, family 429. FHL Film 1254151, National Archives Film T9-0151, Hamilton, Page 478A, Milton and his children are listed as "mulatto." Milton and his wife Rose's parents were all born in NC.